Gracie Would Love a new Home! 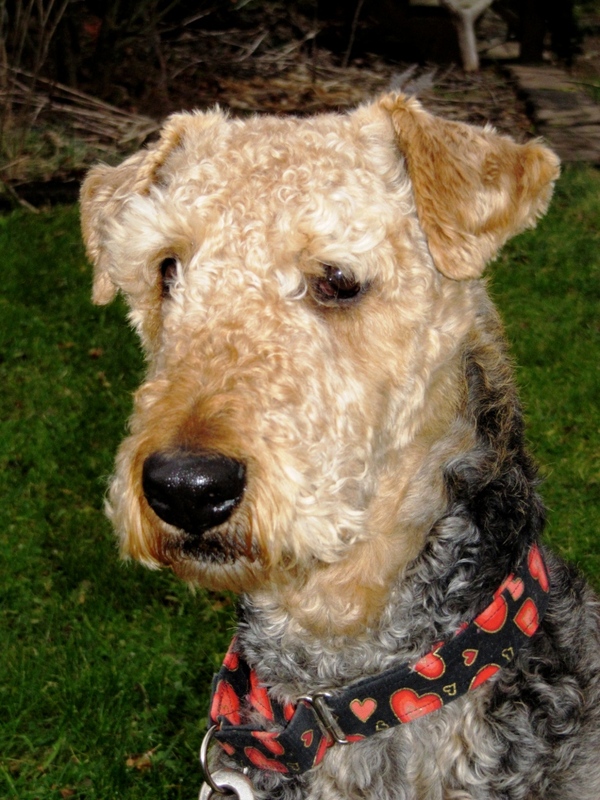 Gracie is a beautiful eight year old Airegirl who needs a new, loving home. She spent the first seven years of her life, tied outside 365 days a year, only being invited into the house at night. 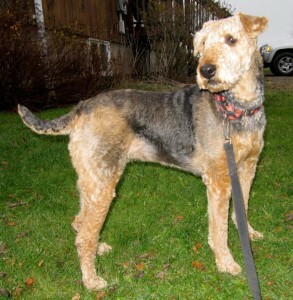 She was placed last year in a home with another female Airedale. Gracie proved to be very dominant with and aggressive to other dogs, particularly small ones and females. 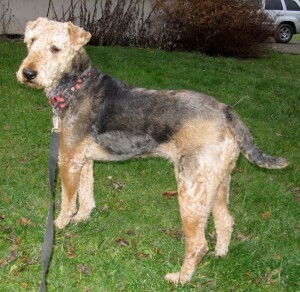 She also has some resource guarding issues but not with food — instead, like many Airedales, she treasures items of clothing. She is wonderful with people, travels extremely well, loves the car, is aloof as only an Airedale can be at times, but also loves to be rubbed and patted. For the right owner, Gracie will be an awesome addition to the family. Gracie would love a home where she is the only dog. A fenced yard is essential and a commitment to train Gracie in obedience to strengthen her recall skills would be an asset. Because of Gracie’s energetic behavior, a home with small children will not be appropriate. Gracie is presently located in the Halifax area. For further information regarding Gracie, please contact Maureen Tate. I would love to take Gracie on but my parents have a 10 year old Airedale..and I live in an apartment without a backyard. 🙁 But I feel very bad for Gracie…where is she now? 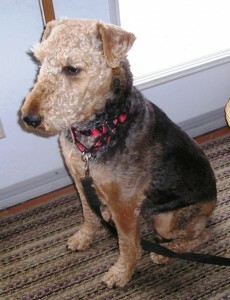 Gracie has now been adopted and is in her new home.